NintenGen: Wii 2 (Project Cafe) - more powerful than expected & revamped SNES design? 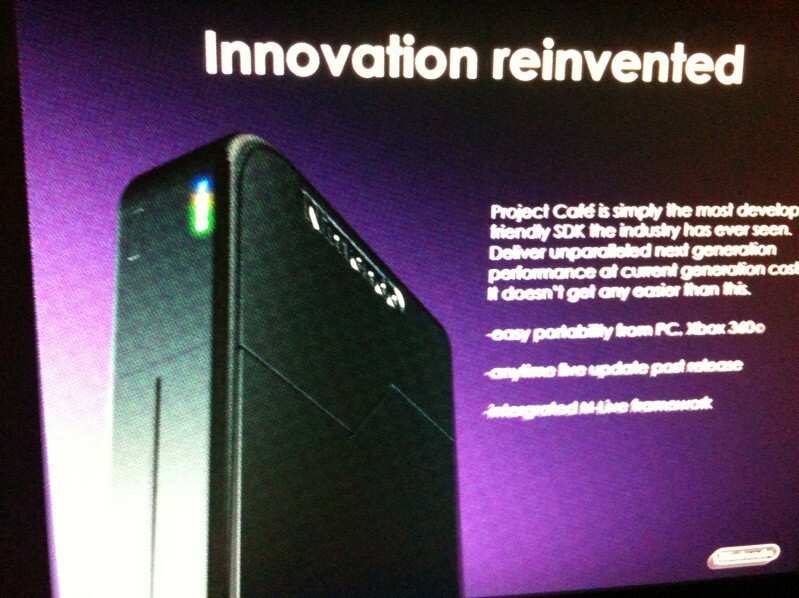 Wii 2 (Project Cafe) - more powerful than expected & revamped SNES design? "IGN has learned that the system will be based on a revamped version of AMD's R700 GPU architecture, not AMD's Fusion technology as previously believed, which will, as previously reported, out perform the PlayStation 3's NVIDIA 7800GTX-based processor. Like the Xbox 360, the system's CPU will be a custom-built triple-core IBM PowerPC chipset, but the clocking speeds will be faster. The system will support 1080p output with the potential for stereoscopic 3D as well, though it has not been determined whether that will be a staple feature. 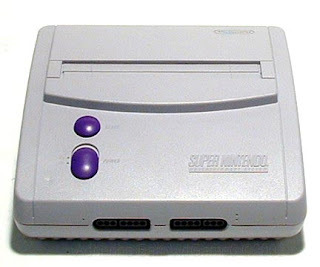 In terms of the design of the console itself, the overall size will be comparable to that of the original Xbox 360 and the system is likely to resemble a modernized version of the Super Nintendo Entertainment System (SNES)." The bottom picture of "Project Cafe" is in no way proven to be real but I'm posting it because.....well it looks kinda cool even if it's a mock up. 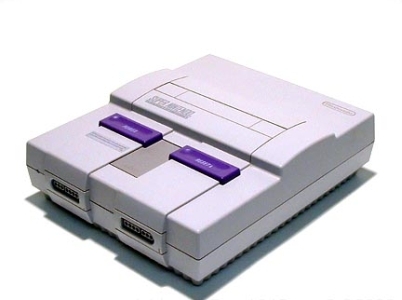 So did they mean it would look like the redesigned SNES from the '90s or the original? From what I've been reading and researching, the AMD R700 graphics card architecture (4000 series) would be at the very least 3 times as powerful as the Xbox 360 graphics card without it being modified and optimized to run for a console like Nintendo is doing. With it being optimized a great deal I'd say that number is going to be higher than that. "From what little I know about R700 architecture, it would be difficult for the GPU not to outperform Xenos and RSX by a considerable margin. 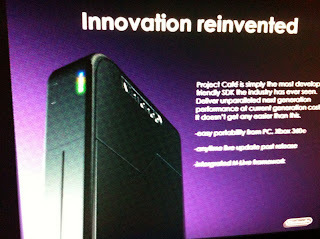 They would likely take a mid-range GPU and modify it a bit, and revamped implies improvement rather than underclocking. The CPU bit could mean anything really. All they're doing is stating that they think it's a similar architecture to 360, so that it's familiar to developers. I don't think their intent was to give any indication of performance beyond that. Again, beating Xbox 360 in terms of processing power shouldn't be much of a challenge for Nintendo in 2011. At the moment, I'm inclined to believe that it will be "significantly" more powerful than the current competition, but talking about specs is boring." I'm just basing this stuff off of how the GPU performs on a PC and not on a console. The Xbox 360's GPU the "Xenos" is based off the ATi Radeon X1950 GT Link and when you compare the PC game performance of that card with the Xenos on modern games, the Xenos runs them so much better since it was custom made for a console and not a PC. The X1950 is completely outdated by todays standards (by PC standards), strange how that works isn't it? The first Crysis on PC was probably the least optimized game in history and that GPU actually runs the game "ok" on max settings. Putting all this together will give you some ideas of what kind of performance to expect from Nintendo's next console. I would say that it should be able to run a game like Crysis at maximum settings (pun intended) at 1080p and a good frame rate considering that the graphics card would be completely customized to work only for Project Cafe. Yes indeed, after getting some more understanding about just how powerful this thing will be I think it's safe to get even more excited for this. Do you thing this system will have good online functionality, like the 360 or better? Think it'll cost money this time? Knowing Nintendo, there is no way that they are going to charge for online like Microsoft does. A friend of mine has Xbox live for his 360 and he really isn't very happy with needing to pay for it since it has issues every now and then like timed out crashes and disconnection errors. Nintendo wouldn't charge for the online and as far as achievements are concerned, I think the "coin" system in the 3DS would actually be better than achievements since you'll earning the coins to buy/unlock more game content or even possible get a downloadable game by trading in coins. I think Nintendo is on the right track with their online service. Sounds good, thanks for the info.